At Lakeview Academy, parents play an important part in the life of our School and are automatically members of the Lakeview Parents Association, (LPA). The LPA strives to strengthen the partnership of families and school through volunteer involvement in any of a number of different roles: serving in a leadership role in the LPA, acting as a homeroom parent or chaperone on field trips, volunteering for the school’s annual auction or fall festival, being a member in Lakeview’s Intercultural Committee Village (IC Village), or in many other ways. Parents are also active in governance as members of the School’s Board of Trustees. All parents are involved as “partners” in their child’s education through Lakeview’s vibrant Parent-School Partnership. Just like the School, the Lakeview parent community is welcoming, inviting and diverse. Lakeview parents have opportunities to connect at the grade levels as well as across grades and divisions. Our annual Grade Parent Gatherings in the early fall are highly anticipated events that give parents an opportunity to hear the direction of the school from the Head of School in a casual setting. Lakeview has a “family” atmosphere and many of our students and their parents will be part of that family for at least fourteen years. The gatherings are a great way to get to know other parents in your child’s grade who will become “like family” to you. In addition, the Lakeview Parent Association hosts a school-wide Parent Welcome Back Coffee, Welcome Back Picnic, Grandparents Day reception, Fall Festival, teacher appreciation week, and other events. With funds donated by so many of you who love this school, the LPA has been able to fund enhancements throughout the school. The LPA has provided funding for: the block out curtains in the Student Center, playground equipment, transportation for Upper School students to the out-of-state Dodge Poetry Festival, guest speakers such as nationally syndicated columnist on parenting, John Rosemond, and author of “Ignorance is No Defense of the Law,” J. Tom Morgan, plus LCD monitors, transmitters and receiver for the digital, automated messaging system in the Upper School hallway. To learn more about volunteer opportunities, contact the LPA or complete a volunteer form. Lakeview Academy values inclusion. With families and faculty from over thirty countries, all at Lakeview are welcome to join the Intercultural Committee Village (IC Village for short). Consistent with the mission statement, the committee strives to broaden our worldview and become more involved in our larger community. Each year, Lakeview showcases the culture and talents of our diverse student and parent groups with an international assembly. Watch on the school calendar for quarterly meetings or contact Ana Patino-Osorno for more information. The Booster Club supports Lakeview students in every aspect of their athletic endeavors. Whether it is grilling hamburgers for a tailgate party before a football game, running the concession stands, or helping in the C&B Snack Bar, the Booster Club will be there to cheer on Lakeview's teams. The LPA used uniform room is located in the Lower School Gym in a room off the back hallway. Enroll in the Kroger Community Rewards program for our school. 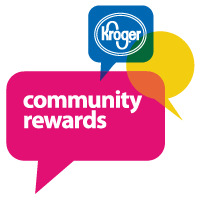 Go to Krogercommunityrewards.com and either create an account or sign into your previous account, find Lakeview Academy, and press SAVE. YOU MUST re-enroll each year. Every year the program is evaluated by Kroger and changes are made based on the success of the program. They refresh the program which makes it necessary for you to re-enroll. Present your Publix Partners Card to the check-out clerk at any Publix store. Publix will award Lakeview Academy with $500 for every $75,000 spent. The school will receive quarterly checks from Publix. We have received $29,805.94 from Publix since inception. The key fob cards are available on the LS cabinet. Please ask the cashier to scan your card for each child you have attending at Lakeview. Tools For Schools: Lakeview Academy school ID # 10416. Ingles shoppers can link the school ID # to their Ingles Advantage Card. Simply provide the school ID # when enrolling for the Ingles Advantage Card. You can obtain the enrollment form in the store or online at www.ingles-markets.com and click on the Tools for School icon. You must re-enroll every year to participate in this program. Present the Ingles Card to the check-out clerk at any Ingles store. Lakeview will receive a choice of items for the dollars you spend. Items range from art supplies to computers. Lakeview Academy school ID # is 5508. Obtain either a Target VISA Card or a Target Guest card (for Target use only). 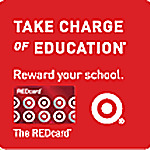 Once you obtain your card, identify the school by calling the provided 800 number, OR enter the ID # 5508 online at www.target.com/tcoe and click on school fund raising, OR provide the ID in the store. Use the card with other merchants and the school will receive ½ percent of the purchases. Lakeview Academy will receive the funds semi-annually. The school has received a total of $12,718.42 from the Target program since inception. Clip Box Tops from hundreds of participating products. Box Tops are worth 10¢ each when our school redeems them from Box Tops for Education. There is a collection box in the Lower School office for the collection of box tops. Be sure to turn in all of your box tops before the expiration date on the boxtop and on a regular basis so that they can be bundled in time for shipment. Lakeview can earn up to $20,000 per year with the box top clippings. Lakeview has earned a total of $3,860.12 since inception of this program in 2008. Shop your favorite online stores at the Box Tops Marketplace. Up to 8% of each qualifying purchase is donated to our school. There are over 60 well-known stores on the marketplace! Lakeview can earn up to $20,000 per year by shopping online. To learn more, visit www.boxtops4education.com. AmazonSmile is a website operated by Amazon that lets you enjoy the same wide selection of products, low prices, and convenient shopping features as Amazon.com. It is a simple and automatic way for you to support Lakeview every time you shop, at no cost to you. The difference is that when you shop on AmazonSmile,(www.smile.amazon.com), the AmazonSmile Foundation will donate 0.5% of the purchase price to Lakeview Academy once you choose our school as your preferred charitable organization. Click here to learn How to participate in AmazonSmile to support Lakeview.